iRealHousewives | The 411 On American + International Real Housewives: Kandi Burruss Says Getting Back With Xscape Wasn't Part Of Her Plan! 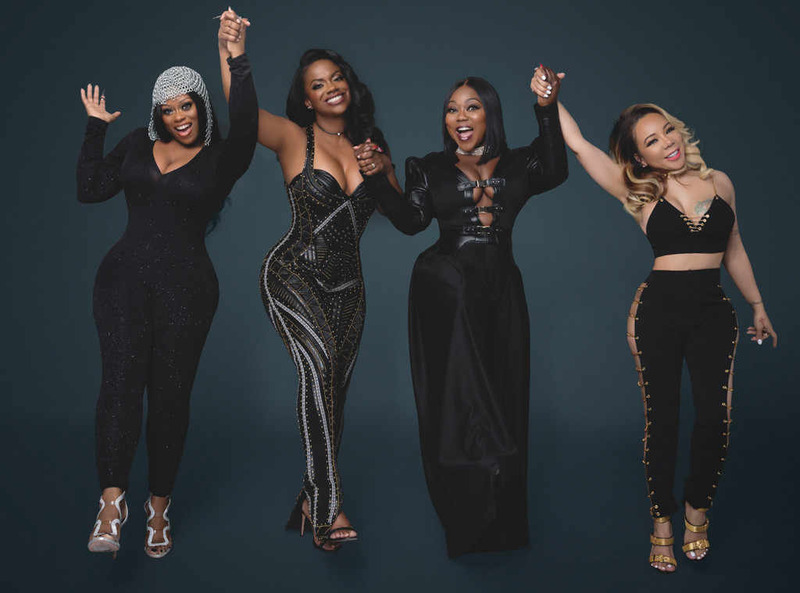 Kandi Burruss is spilling all the tea about reuniting with her R&B girl band Xscape after 17 years. However, despite the group getting their own docu-series on Bravo and an upcoming tour, the Real Housewives of Atlanta star tells PEOPLE "it wasn't a planned reunion." But before Burruss could move forward with the group, she wanted bandmate Tamika Scott to apologize for a decade-long feud that included Scott claiming in a radio interview that Burruss slept with their label head Jermaine Dupri and his father, music industry executive Michael Mauldin. Even though Kandi got her apology, there’s still tension with Scott, her sister LaTocha and Tameka “Tiny” Cottle.